Insurance Plus Agencies of Texas (254)227-6164 is your Commercial Liability Insurance Agency serving Dawson, Texas. Call our dedicated agents anytime for a Qoute. 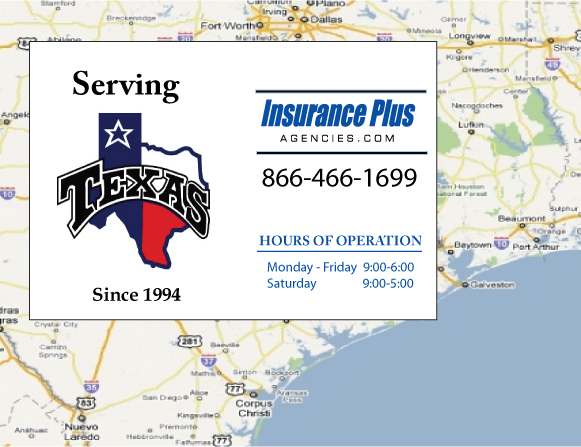 We are here for you 24/7 to find the Texas Insurance that's right for you.